Shakopee, MN (February 4, 2019) – Soaring Eagle Resort and Casino in Mt. 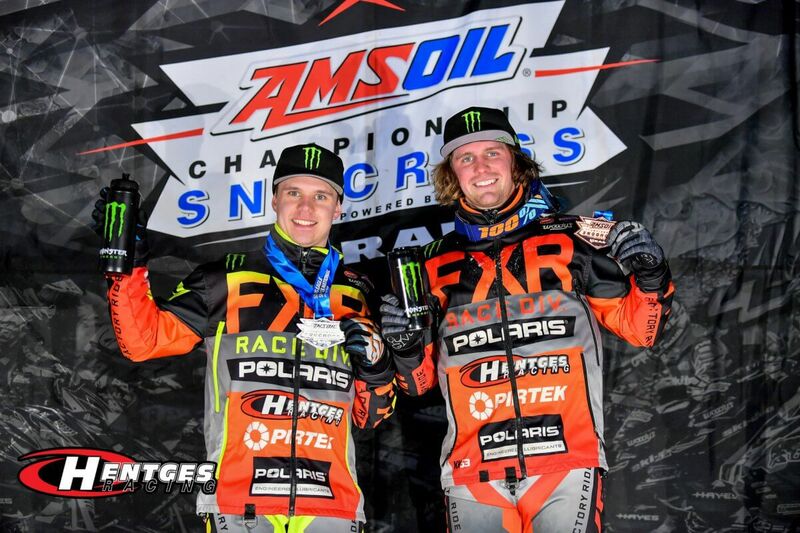 Pleasant, Michigan, was home base for the fifth of eight stops on the Hentges Racing team’s snocross national schedule this past weekend. Riders and fans were treated to the biggest and maybe the most technical track they have seen all season, complete with challenging step-up jumps and mogul-filled downhill sections. With sub-zero temperatures moving out of the region it all made up for a perfect two days of racing. Kody Kamm looked primed for a clean sweep Friday night, winning both his heats on his way to the final. While the win eluded him, the podium was on the docket with Kamm taking the third step. He came back Saturday to repeat the heat performance and nearly repeat the podium performance, taking 4th place in the final. Wins are one thing, points are another. Kamm’s brilliant heat performance leapfrogged him into second place, just 29-points out of first place. Petter Narsa had perhaps his best night of the season Friday night. He qualified on the front row then used a blazing fast start to take the lead, which he held for most of the race. Narsa ended up in 2nd place, his best finish of the season and a match for the best finish by the team so far. A crash during heats on Saturday meant Narsa had to start from the back row, he worked his way up to mid pack before a mechanical issue ended his weekend. 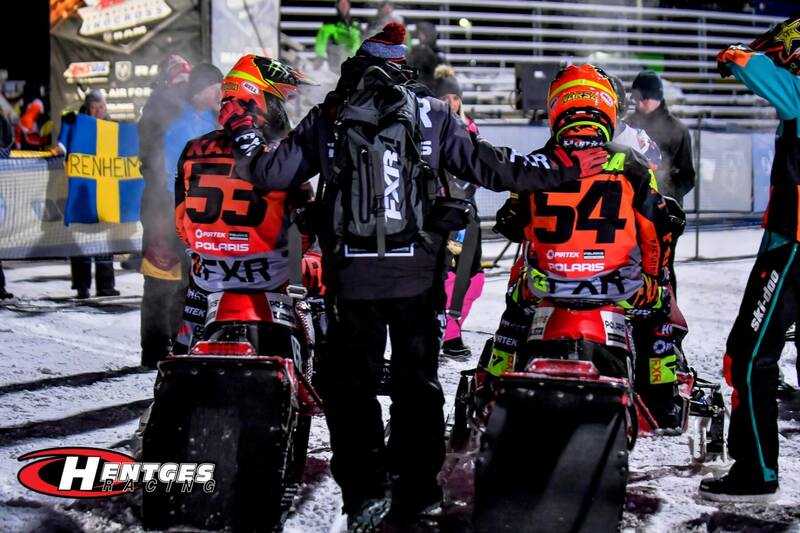 Next up for Hentges Racing is the Seneca Allegany Snocross National February 22-23 in Salamanca, New York. For more information on Hentges Racing visit www.hentgesracing.com. Follow Hentges Racing on Facebook, Twitter, Instagram and YouTube.